Load balancing is an essential component for the scalability and fault tolerance of web applications. Major cloud computing providers have different offerings for load balancing. In this post I'll explore AWS's (Amazon Web Services) ELB (Elastic Load Balancing) feature, and test it to see how it distributes the load on front-end web servers, and in case of unavailability of one of the front-end servers, how traffic is directed to the healthy instance(s). I'll use Linux based image, but the concepts apply to Windows images. I assume that the reader has the basic knowledge on how to create an AWS account and create EC2 (Elastic Compute Cloud) virtual machine. If not, don't worry, following the steps below will give you a good understanding. Go to AWS console and select "Launch Instance", from the list of images, select "Ubuntu Server 14.04 LTS". Complete the wizard till you reach the "Configure Security Group" step. In this is the step we select the proper ports we need AWS to open. Select SSH (22) to connect to the instance to configure it, and HTTP (80) to serve web traffic. When you're prompted to select the key pair, make sure to choose an existing one you have already downloaded or create a new one and keep it in a safe place. Note: When I first stared using AWS, and being from a windows background, the term "Security Group" was a bit confusing to me, it's about firewall rules not security groups in the sense of Active Directory Groups. The image does not have a web server installed by default, so I'll SSH into the instance and install it. If you're using MAC or Linux, you should be able to run SSH directly. For Windows users, you can use Putty. Copy the public IP of the running instance you just created. Use SSH to connect using this command: ssh -l ubuntu -i . for example: ssh 54.72.151.182 -l ubuntu -i mykey.pem . note that ubuntu is the username for the image we created this machine from. the .pem file acts as a password. Elevate privileges to run as a super user to be able to install software. 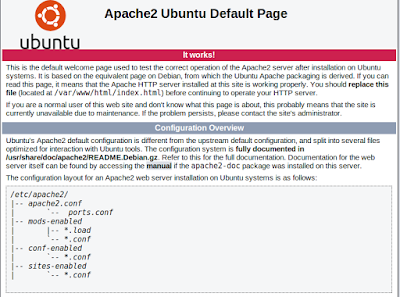 Install apache using the package manager. Restart apache so that CGI configuration takes effect. Now it's time to test the web server. 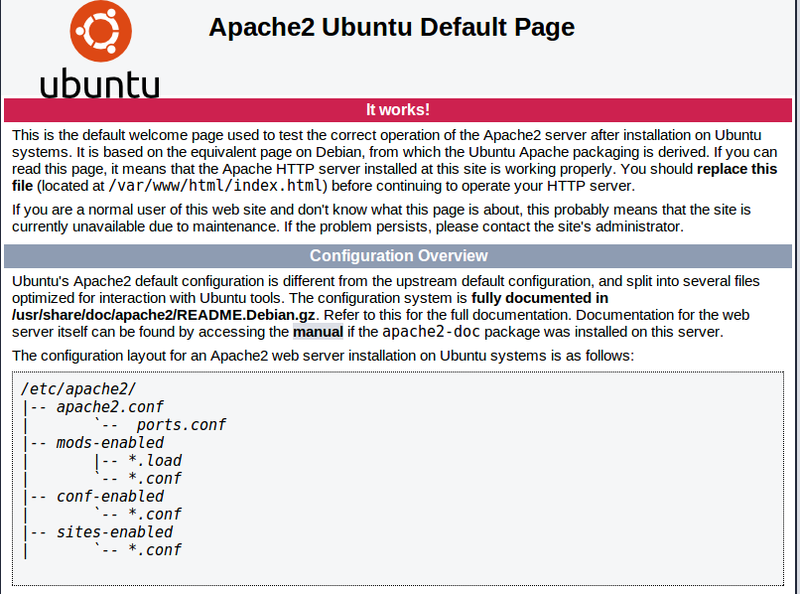 Visit http://INSTANCE_IP and you should be welcomed with the default apache home page. To test ELB, I need to identify which instance served the request just by looking into the response to a web request. Now I have 2 options: Create static pages on each web fron-end or create some dynamic content that identifies the instance. And I prefer the latter option as I'll use the same image for all front-ends. This is the default location that apache uses to serve CGI content. That's why I enabled CGI in a previous step. Note: I'm not advising using bash scripts in production web sites. It just was the easiest way to spit out info returned from the meta-data endpoints with minimal effort. Now we have an identifiable instance. Let's create more of it. After the instance has stopped, right click -> image -> create image. Choose and appropriate name and save. Navigate to AMI (Amazon Machine Image) and check the creation status of the image. Select the same security group as the one used before, it will have both 22 and 80 ports open. Now we have 3 identical servers. Note that most probably the IP of the first instance is now different after restart. In AWS console, navigate to "Load Balancers". In the health check, in the ping path, enter "/". 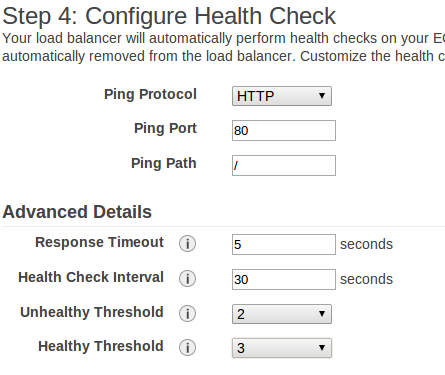 This means that ELB will use the default apache page for health check. In production, it might not be a good idea to make your home page the health check page. For quick testing, make the "Healthy Threshold" equal to 3. Now a bit of explanation is required. This configuration tells ELB to check for the healthiness of a front-end instance every 30 seconds. A check is considered successful if the server responds in 5 seconds. If a healthy instance does not respond with that period for 2 consecutive failures, it's considered unhealthy. And similarly, an unhealthy instance is considered healthy again if it responds to the check 3 consecutive times. Now select the 3 instances to use for load balancing. And wait until the ELB instance is created and the 3 instances in the "instances" tab are shown InService. Note: nothing special as there is no session affinity. Refresh the page pointing to the ELB url, note that after a few seconds, you only get responses from the 2 running instances. After about 1 minute, the instance is declared OutOfService in the Instances tab of ELB. Wait about one and half minutes, the instance is back to InService status and you start to get responses from it. 8- Turn them all off! They are costing you money, unless you are still under the free tier. It's recommended to terminate any EC2 and ELB instances that are no longer used. In this post, we've seen ELB in action using its basic settings. The round robin load balancing worked great and health check made our site available to users by eliminating unhealthy instances. This works great with web applications that don't require session affinity, for applications that require it, well, that's another post. Thanks for sharing such a useful information with all of us. It is nicely explain with steps. I am following your blog from the beginning, it was so distinct & I had a chance to collect conglomeration of information that helps me a lot to improvise myself. I hope this will help many readers who are in need of this vital piece of information. Thanks for sharing & keep your blog updated.Regards aws jobs in hyderabad. Thanks for taking time to share this post. It is really useful. Continue sharing more like this. Its a wonderful post and very helpful, thanks for all this information. You are including better information regarding this topic in an effective way.Thank you so much. Thanks for this great share. This post is much helpful for us.Excellent Blog! This is very helpful for who wants to learn professional Education.Thank you. Please keep Going. I am waiting for your more posts like this or related to any other informative topic. IT leaders want to be able to ensure high-availability during periodic and seasonal peaks, but that often requires an overinvestment in infrastructure to ensure capacity can meet demand. Excess capacity causes overspending and waste. The Blog is really brilliant. Thanks for the information provided. Thanks for providing such a great information. I like you post.It is very usfull to all.